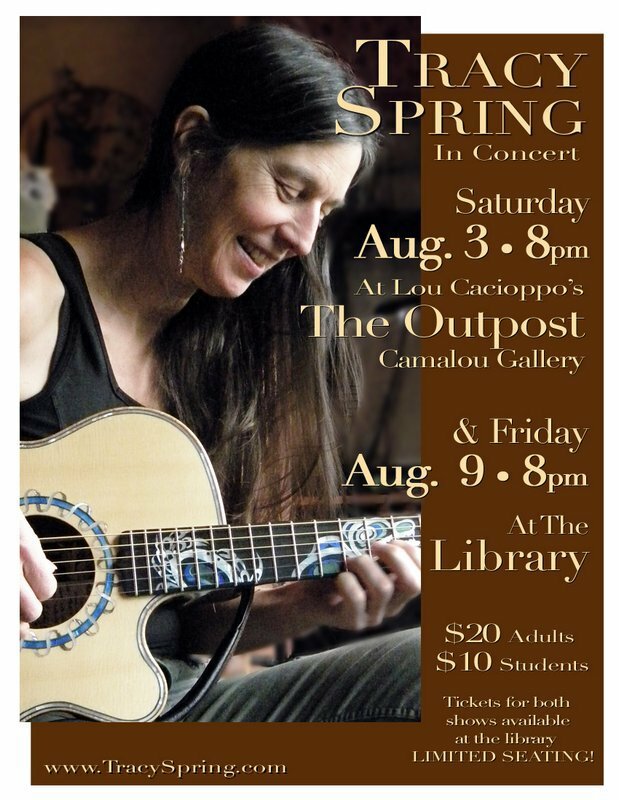 The Outpost is Lou's gallery and doubles as a music venue for the town of Gustavus. At over 60 years old, and while serving as Mayor of Gustavus, Lou spent over a year tirelessly building his dream gallery/music studio. He wanted The Outpost to be an inviting outlet for his creative juices to flow whether it be in the form of sculpting, jewelry making, song writing, or a place for he and his fellow musicians to jam out. 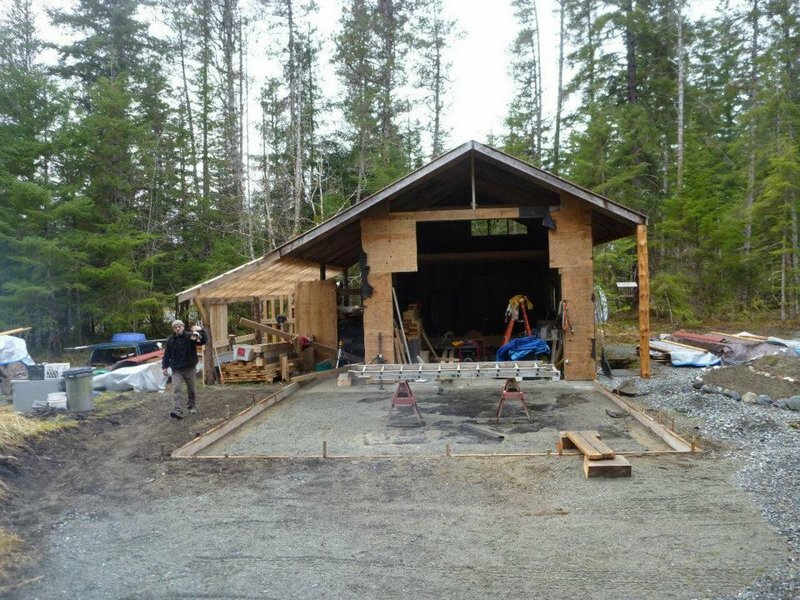 Construction of The Outpost continues as Lou installs the subflooring. New walls are on the way to being closed in. Many personal touches were added to the interior including furniture and accessories hand crafted from branches. While serving as a gallery and music venue, The Outpost has also been designed with a complete kitchen and lounge area to relax with a friend and a cup of joe. Many shelves, hooks, nooks and crannies were designed with ways to display the artwork in mind. Great aucoustics and ample stage space were a must have while making plans for The Outpost. Monthly potlucks and jam sessions in the small town of Gustavus are often held at The Outpost. Guest musician Tracy Spring had a two day performance at The Outpost while visiting Gustavus. During Gustavus' tourist season, Lou can often be found spending time developing art in the gallery portion of The Outpost. The River performed by Lou Cacioppo, Kim Hecox, and Emily Mount. Written by Lou Cacioppo, 2009.